Today, October 18, 2016, Capdevielle Park received attention from the crews at Parks & Parkways. Diseased trees were removed, others trimmed and thanks to a large backhoe, a large step toward rehabbing the center mound for new plantings took place. Sadly, our palm was stricken with Texas Palm Decline, a infectious tree situation requiring its removal. 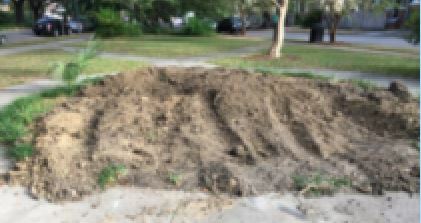 Another tree was found to be infested with termites. The crew courteously responded to several neighbors who had concerns about the work. They also managed removal of a dangerous limb on a street tree at the request of a Bell Street resident. The crew also did some cleanup work in the area. The day didn’t end there as the crew returned to grind the stumps so those eyesores are gone. There is limited street parking near and around City Park. Please be aware of any signs restricting parking. Overnight parking, walking, sleeping, camping by individuals or groups is prohibited within the confines of City Park. Also, parking on the Bayou or the Neutral Ground (median) is illegal and you will be towed. THE CITY PLANNING COMMISSION HEREBY ANNOUNCES THAT IT WILL HOLD PUBLIC MEETINGS TO SOLICIT THE OPINIONS OF CITIZENS RELATIVE TO CERTAIN PROPOSED AMENDMENTS TO THE CITY’S “PLAN FOR THE 21ST CENTURY,” ALSO KNOWN AS THE MASTER PLAN. The public meetings concern Master Plan amendment applications that were submitted by the Sept. 9, 2016 deadline. To view the Master Plan amendment applications or the Master Plan, visit the City Planning Commission’s website: www.nola.gov/cpc. To view a map of the planning districts visit: http://nola.gov/city-planning/czo/. Interested citizens are also encouraged to visit the CPC website or contact the office of the City Planning Commission for more information. The office of the City Planning Commission may be reached via telephone at (504) 658-7033, via email at cpcinfo@nola.gov, or via U.S. mail or in person at 1300 Perdido Street, 7th Floor, New Orleans, Louisiana, 70112. This morning at 8 a.m, on July 21, 2016, weather reports indicated it “felt like” 103 degrees at 8 in the morning! 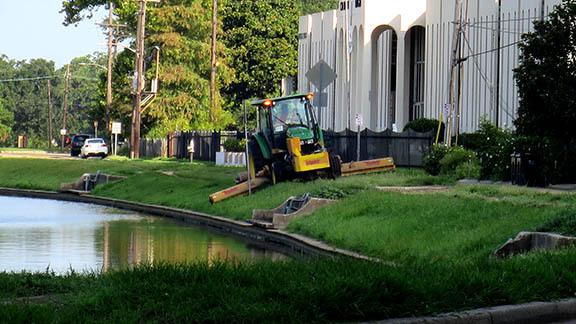 The high temperature didn’t keep the Orleans Levee Board from keeping the grass trimmed along the banks of Bayou St. John. Many thanks to the Orleans Levee Board for decades of dedicated service to the citizens of New Orleans. The Orleans Levee District is dedicated to protecting the lives and property of the citizens of Orleans Parish by constructing, operating and maintaining the Mississippi River and Hurricane Protection Flood Control Systems and to providing safe and secure facilities for aviation, marine and recreational activities. The Orleans Levee District is to be a proactive, public orientated, fiscally responsible, ethical and highly respected flood protection and service organization. The Orleans Levee District (the District) was established by Act 93 of the 1890 General Assembly (Legislature) of the State of Louisiana. The District is primarily responsible for the operation and maintenance of levees, embankments, seawalls, jetties, breakwaters, water basins, and other hurricane and flood protection improvements surrounding the City of New Orleans, including the southern shores of Lake Pontchartrain and along the Mississippi River. The District is responsible for the maintenance of 104.8 miles of levees and floodwalls, 200 floodgates, 103 flood valves, and two flood control structures. To enhance flood protection, the District, and the United States Corps of Engineers (USACE), participate and cost share in several joint flood protection projects relative to the Lake Pontchartrain and Vicinity Hurricane Protection Plan (LPVHPP). That’s the dilemma. You live in a nice place. But, it could be nicer if only the park were fixed up or the traffic slowed down, if the schools were better or the business district brighter. So what to do first? You’d like to plop down on a bench for a while, soak up the sunshine, listen to the birds sing or kids play, and just watch the world go by. 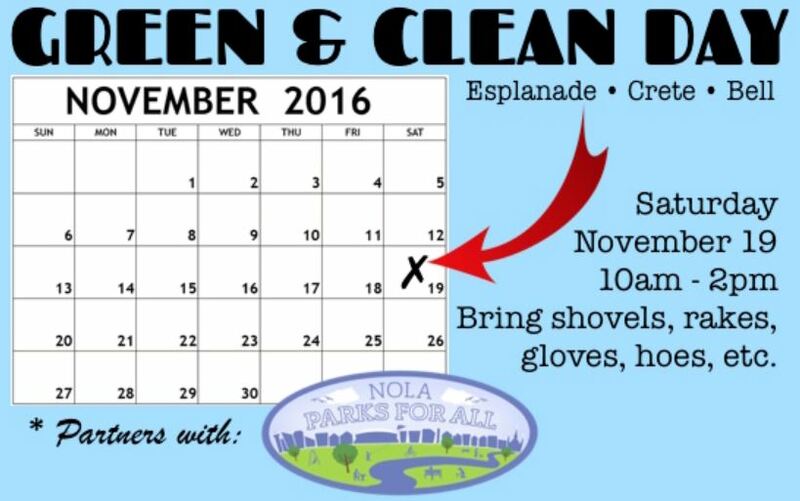 But you really ought to be organizing a meeting, handing out flyers and enlisting volunteers for the big event. It’s important to do both. Without taking time to truly savor your neighborhood, you lose touch with why you love it in the first place. Soon, all you see is what’s wrong. And that quickly diminishes your effectiveness as a community advocate. No one is inspired by harried, humorless, negative leader who would really rather be doing something else. On a strategic, as well as a personal level, it’s smart to take a long stroll every evening, linger at the sidewalk café, stop for a chat with neighbors, and just generally revel in all the great things your community offers. Otherwise, what’s the point of living in Faubourg St. John? It is about 75 city blocks and has an average elevation of about 1 foot above sea level. Not bad when you consider about half of New Orleans is several feet under sea level. 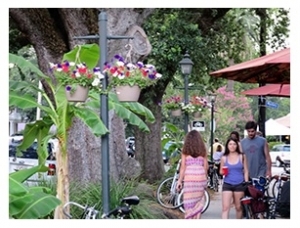 More than 4,000 residents call Faubourg St. John home. Since the beginning, the Bayou Boogaloo, held on the banks of Bayou St. John in New Orleans during May, has had a mission to give back to the community. The first Bayou Boogaloo in 2006 was a healing effort for the community. Many folks were still rebuilding their lives and their houses after “the storm”. The Bayou Boogaloo was a welcome respite from the daily grind. It provided much needed fun for both adults and children. One of the often forgotten aspects of the Bayou Boogaloo is its emphasis on zero impact on the environment. I’ve personally witnessed the meticulous cleanup after the event. One would never know the music festival ever took place because the area is left as clean or cleaner than it was before the event. The Bayou Boogaloo has promoted solar energy, recycling and encouraged folks to consider the environment. The Bayou Boogaloo has led by example. Several huge oak trees have been planted along the banks of Bayou St. John leaving a lasting positive impact on the environment and the community. The Bayou Boogaloo gives back in other ways too! The event helps neighborhood organizations raise funds for their operations, has helped build playgrounds, has supported community sports initiatives, helped plant native habitat-building and erosion-preventing marsh grasses, and replaced trees lost during hurricanes. The City even recognized the Bayou Boogaloo’s founder, Jared Zeller, with a proclamation for promoting an economically and environmentally sustainable event. Join the Bayou Boogaloo this Friday, Saturday and Sunday May 20, 21, and 22. The Bayou Boogaloo is more than just a music festival, it’s a community building coalition! It’s been less than three weeks since the last notes rang out at the Fair Grounds to close the 2016 edition of the New Orleans Jazz & Heritage Festival. Not far away, bands will strike up again at the 11th Annual Mid-City Bayou Boogaloo. The free event is presented from Friday, May 20 to Sunday, May 22, 2016 along the banks of Bayou St. John between Dumaine Street and N. Jefferson Davis Parkway. It features three main music stages at Dumaine Street, Orleans Avenue and Lafitte Street plus a Kids Stage that has both music and other activities to please the youngsters. There are some excellent local and national headliners at the festival that didn’t perform at this year’s Jazz Fest including Nolatet (Sunday, 6 p.m.), The Lowrider Band (Saturday, 7:45 p.m.) and the Wailers (Friday, 7:45 p.m.). Because pianist Haas, unlike the other members, doesn’t live in New Orleans, Nolatet is a get-it-while-you can band though all concerned express their hope and intent to do much more in the future. Just an aside – it’s great to have Dillon, who absolutely floored the crowd at last year’s performance of his New Orleans Punk Rock Percussion Consortium – back at Bayou Boogaloo. Hopefully, the Consortium, an amazing collection of rhythm masters will return next year or be booked somewhere else soon. The band is, of course, made up of original members of the group War, including Brown, the great harmonica player Lee Oskar, guitarist Howard Scott and bassist B.B. Dickerson, who, because of health issues will be unable to perform with his fellow Lowriders. Due to a court order, nobody in the group is allowed to mention their participation in War in any promotional material or advertisements. Fortunately, these talents have been able to retain their rights to their compositions and receive royalties. The socially conscious messages of tunes like Bob Marley’s “One Love” are much needed in today’s world. The Wailers keep that warmth, the much-loved classic songs and laid-back reggae riddims alive. Bassist Aston “Family Man” Barrett is the only member of the touring band that performed and recorded with the group that backed the late, legendary Bob Marley who influenced the world with the magic of his music and his pen. Barrett was the heartbeat of the rock steady beat, the sound that could be felt to one’s core. Reggae by the Bayou seems so right. 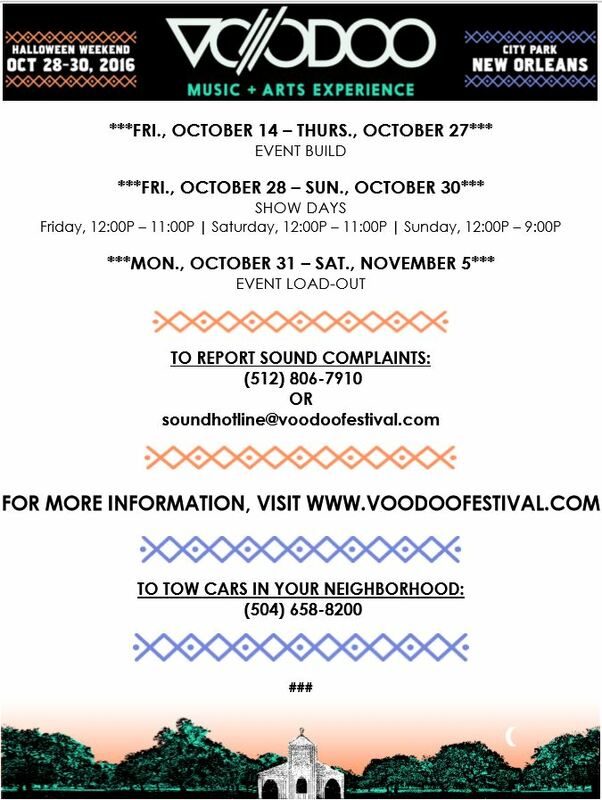 Our local stars like bassist George Porter & the Runnin’ Pardners (Sunday, 4 p.m.), the Queen of New Orleans Soul, Irma Thomas (Saturday, 5 p.m.) and zydeco go-getter, accordionist/vocalist Dwayne Dopsie (Friday, 6:15 p.m.) also bolster the impressive schedule. Parents might want to bring their children to the Kids Stage on Saturday at 1:30 p.m. where Daria Dzurik, the leader/steel pan player/vocalist of Daria & The Hip Drops fame will hold a percussion workshop. With her talent, lively personality and big smile, Dzurik has the qualities to educate and entertain the whole family. She and the Hip Drops certainly caught the crowd at this year’s French Quarter Festival. On Friday, the music schedule is abbreviated and begins in the evening on two stages starting at 5 p.m. The Wailers, which hit the stage at 7:45 p.m. close it down. On Saturday and Sunday the music gets going at 11 a.m. Naturally there are food and beverage vendors aplenty and arts and crafts booths from one end of the fest to the other. One of the beauties of the festival remains its wonderful setting and just being able to sit along Bayou St. John and relax. This article originally published in the May 16, 2016 print edition of The Louisiana Weekly newspaper. Article courtesy delanceyplace.com — from “Mind of the Meditator” by Matthieu Ricard, Antoine Lutz and Richard J. Davidson. A) 12 expert meditators had greater overlap of increased activation of attention-related brain regions. B)12 non-meditators had less overlap and activation. Orange hues equal higher correlation between individuals & activation. Blue hues equal little to no correlation between regions of activation. “In our Wisconsin lab, we have studied experienced practitioners while they performed an advanced form of mindfulness meditation called open presence. In open presence, sometimes called pure awareness, the mind is calm and relaxed, not focused on anything in particular yet vividly clear, free from excitation or dullness. The meditator observes and is open to experience without making any attempt to interpret, change, reject or ignore painful sensation. We found that the intensity of the pain was not reduced in meditators, but it bothered them less than it did members of a control group. Compared with novices, expert meditators’ brain activity diminished in anxiety-related regions — the insular cortex and the amygdala — in the period preceding the painful stimulus. The meditators’ brain response in pain-related regions became accustomed to the stimulus more quickly than that of novices after repeated exposures to it. Other tests in our lab have shown that meditation training increases one’s ability to better control and buffer basic physiological responses — inflammation or levels of a stress hormone — to a socially stressful task such as giving a public speech or doing mental arithmetic in front of a harsh jury.